SBI Recruitment 2018 - Apply Online for 38 Specialist Cadre Officers Posts in SBI, Mumbai, Kolkata, Hyderabad, Gurugram on Contract Basis. Online Applications are invited by State Bank of India from 22 Nov 2018 to 06 Dec 2018 for 38 vacancies. SBI Specialist Cadre Officers Interview Schedule 2019: State Bank of India has announced Interview Schedule of Specialist Cadre Officers Interview 2019. Pay the Examination Fee through Debit Card, Credit Card, Net Banking etc. 2. MBA (Finance)/ CA/ CFA with Minimum 10 years post qualification Experience. Post Qualification Exp. - 1. Minimum 8 years’ experience in varied roles including Digital marketing. Post Qualification Exp. - 1. Minimum 8 years’ experience in varied roles in Media Strategy, Media Planning & Buying, Marcom, Market Research including New and Interactive. Post Qualification Exp. - 1. Minimum 3 years of work experience in a similar role. Exceptional candidates with relevant PR agency experience would also be considered. Experience in BFSI preferred. Post Qualification Exp. - 1. Minimum 5 years of work experience in events and sponsorship, preferably on the client side. 2. Must have managed at least 3 large format events. 01 MBA in Marketing/ Product Development or PG diploma in Marketing & related field from Top Indian/ International 'B' school. 01 1. Post Graduation in Banking & Finance from Top Indian/ International Business Schools. OR 2. Ph.D from TOP Indian/ International Universities/ Business School in Corporate Credit/ Risk Management/ International Banking in Banks. 01 MBA or 2 years Post Graduate Diploma in Management after Graduation from reputed Indian/ International ‘B’ Schools. The selection will be on the basis of of interview. Eligible candidates may apply online at SBI's website (direct link is given below) from 22 Nov 2018 to 06 Dec 2018. 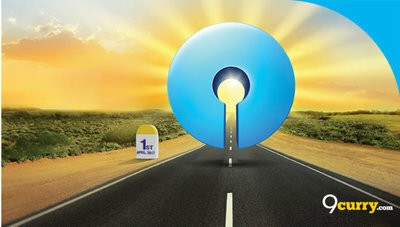 SBI Recruitment 2019 - Apply Online for Specialist Cadre Officers Posts in SBI, Mumbai, Maharashtra. Online Applications are invited by State Bank of India from 05 Apr 2019 to 25 Apr 2019 (Extended till 15 May 2019) for 4 vacancies.